The calendar has flipped into the New Year, and hennemusic has a look at the rock forecast for 2013. 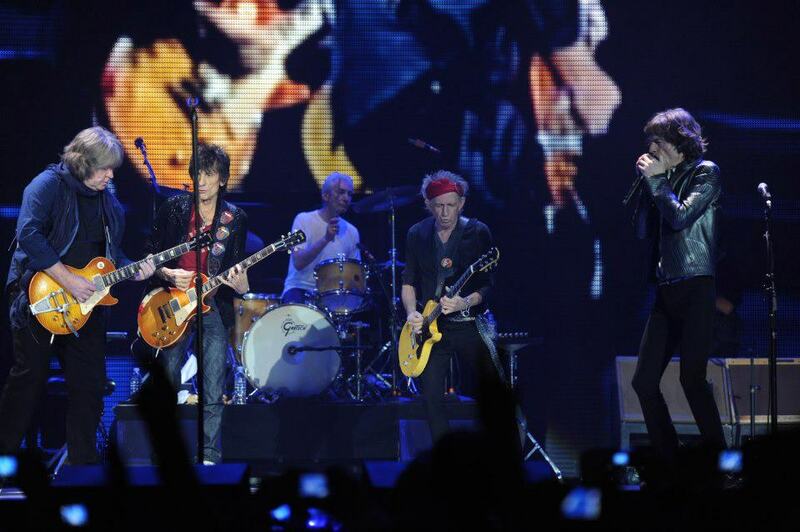 The Stones teased fans with a 5-date fall tour and there is plenty more where that came from. The band will tour in 2013 as they continue to mark their 50th anniversary; an April headlining date at Coachella was recently “leaked” by the group. The metal legends hit a few roadblocks in 2012: guitarist Tony Iommi was diagnosed with cancer and underwent chemotherapy; a full tour schedule was reduced to three shows following Iommi’s news and treatment; and, a contract dispute prevented drummer Bill Ward from rejoining his bandmates for live dates and the creation of new music. Sabbath are moving forward, nonetheless: a new album, produced by Rick Rubin, is scheduled for April, and the band begins touring with shows down under that same month. Another band that hit a major roadblock in 2012, with guitarist Eddie Van Halen undergoing surgery for a severe bout of Diverticulitis, an event that put the band on the sidelines for the last 6 months of the year. VH will return to live action in 2013, with a series of rescheduled Japanese dates set for June. Beyond that, bassist Wolfgang VH will tour with Alter Bridge/Creed guitarist Mark Tremonti’s solo band throughout February but, other than that, nothing else has been revealed about VH’s plans for the year. All eyes are on April 18 as fans eagerly await the band’s long overdue induction into the Rock & Roll Hall Of Fame. 2013 sees Rush continuing their Clockwork Angels tour, with a UK/European tour set to begin in May, with rumors of more North American shows on the way. KISS will celebrate their 40th anniversary in 2013. So far, the band has an Australian tour with Motley Crue and Thin Lizzy set to begin in February, and European dates of their own to start in June. KISS Kruise III has already been announced to return in time for Halloween. Metallica enter 2013 with plans to work on new music, and the ability to release anything they want on their own label, Blackened Recordings. The group recently took full ownership of their catalog, liberating themselves from the record company music machine so that they can determine their own destiny. The metal legends will headline Australia’s Soundwave Festival in the spring, and return with their own second annual Orion Music + More event in Detroit in June. The band made major headlines in 2012 with the release of “Celebration Day,” a project capturing the group’s 2007 reunion show in London. Jimmy Page has revealed plans to reissue Zeppelin's full catalog, remastered, with bonus tracks and other goodies...starting this year. The band returns to active duty this year following a meltdown and rehab stint by frontman Billie Joe Armstrong that put the band on the sidelines for the past three months. Always a great live act, Green Day will need to re-jump start the promotion for their new album trilogy - “¡Uno!,” “¡Dos!,” and “¡Tré!” - before they fade away into the background…if they haven’t already. The Zeppelin legend has been talking about his desire to be out playing live for a few years now, and he’s saying the same thing for 2013. A short list of confirmed and possible new music in 2013.